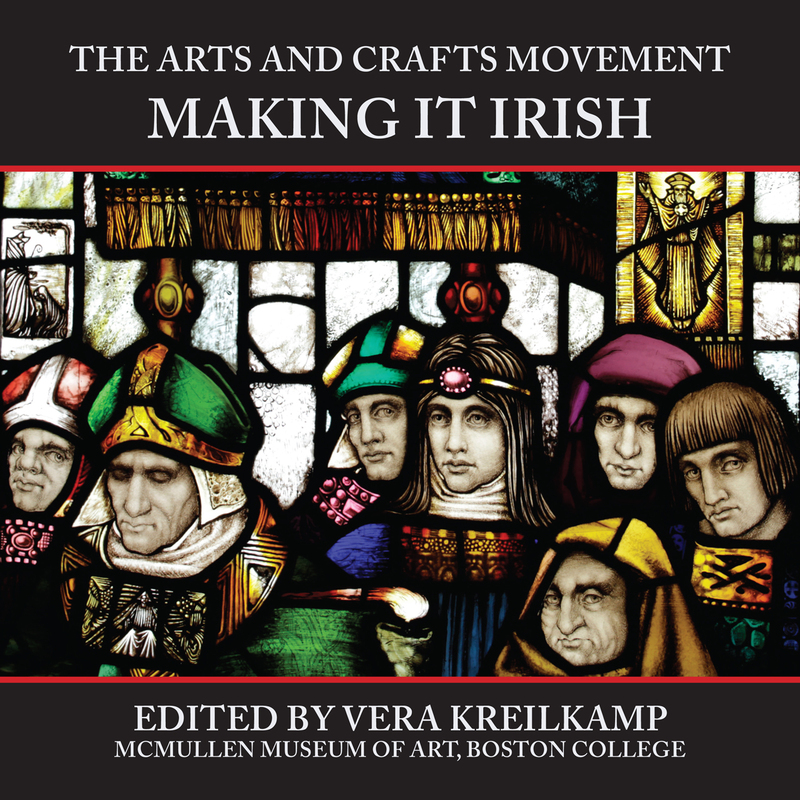 This volume, which accompanies an exhibition at the McMullen Museum of Art at Boston College, offers the first comprehensive look at the Irish dimension of the international Arts and Crafts movement. The exhibition celebrates the centenary of one of Ireland’s major twentieth-century Arts and Crafts achievements, the Honan Chapel in Cork City, consecrated in 1916 in a period of tumultuous political change. In cross-disciplinary explorations of over one hundred and fifty ecclesiastical, domestic, and politically charged objects created between 1885 and 1930, Irish and North American contributors place the Irish Arts and Crafts movement within the contexts of early Christian Irish art, nationalism, feminism, Celtic Revivalism, and modernism. Including illustrated essays by scholars such as Nicola Gordon Bowe, Janice Helland, Marjorie Howes, Paul Larmour, Tomás Ó Carragáin, and Fintan O’Toole, The Arts and Crafts Movement: Making It Irish demonstrates how extraordinary cultural innovation emerged as Ireland struggled to create new identities and reimagine its national culture during an increasingly volatile time in European history.